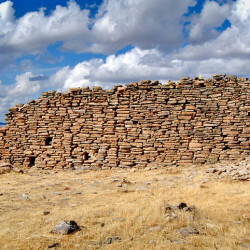 Around the northern perimeter of La Quemada is a set of imposing defensive walls, measuring four metres tall and four metres thick. 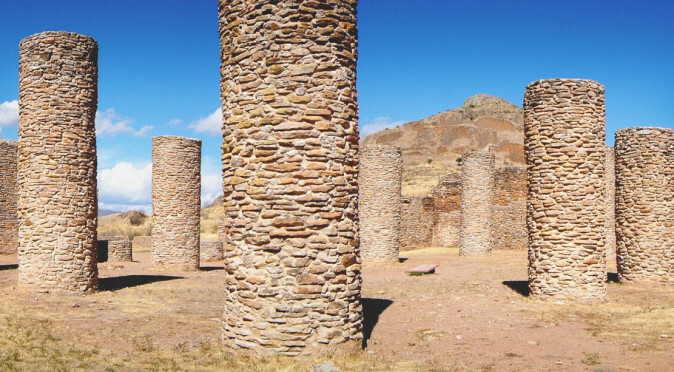 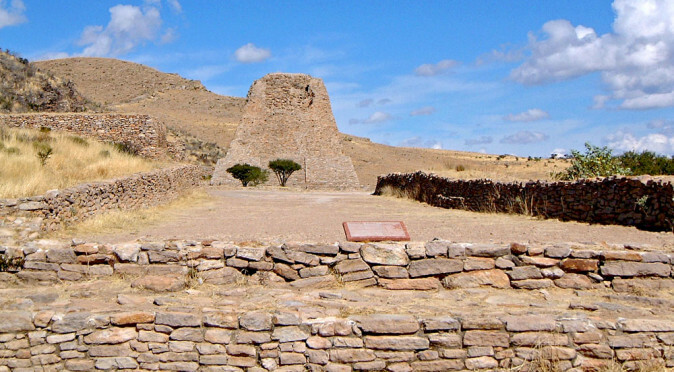 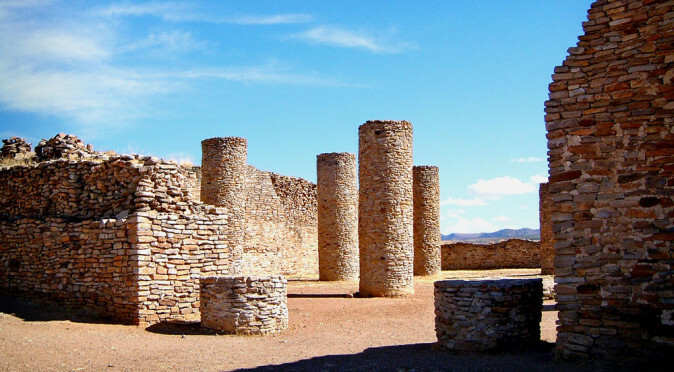 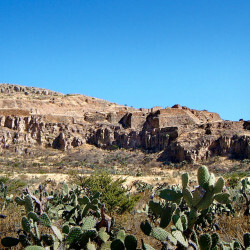 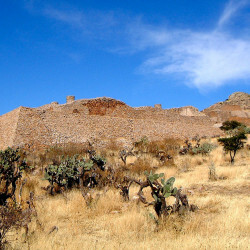 Their presence, along with the elevated and sophisticated construction of La Quemada, led early historians to believe that the city was built in the Early Post Classic (between 900AD and 1200AD) by a great southern civilisation, such as the Toltec or Aztec, as a fortified citadel built to defend the frontiers of Mesoamerica from the marauding tribes of North America. 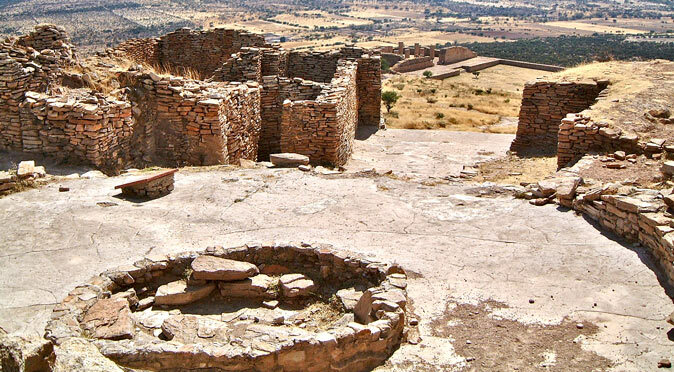 Subsequent archaeology and modern science has now shown that the early city was developed in the 5th century and became the heart of a thriving agricultural community. 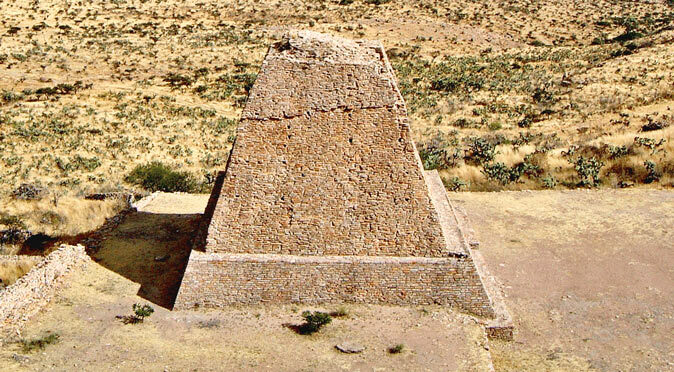 Far from being heavily defended, the city invited visitors and provided 100 miles of roads that led directly to the site core and up the main set of stairs located next to the Votive Pyramid. 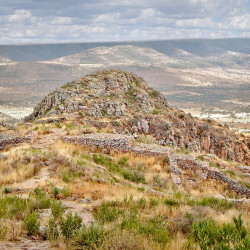 Evidence found high up on Level 2 amongst the complexes known as El Cuartel and the Conjunto Pirámide-Osario appears to demonstrate that the site was fundamentally a religious centre built to observe the stars and solar cycles and operate as a religio-political hub for the surrounding villages. 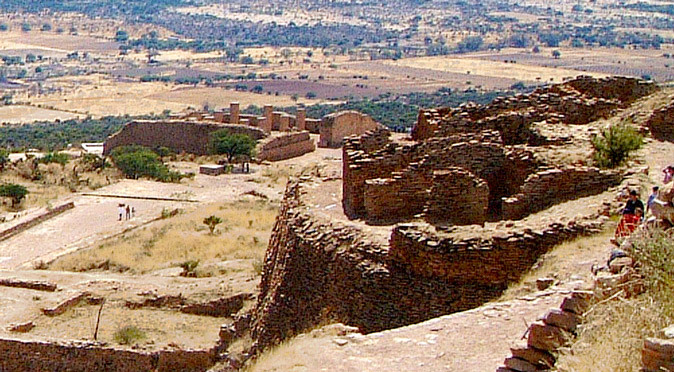 It wasn’t until the Post Classic Period, between 900AD and 1200AD, that the huge walls were added, the main stairways were closed, and city transformed into a defensive fortress. 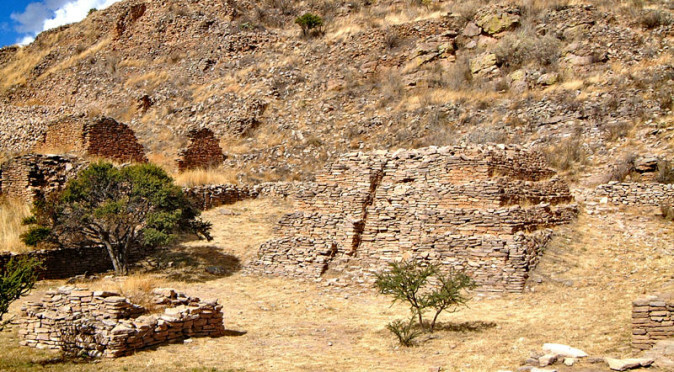 The reasons for this are still unknown, but this timing corresponds with the collapse of nearby trading superpower Teotihuacan, which also triggered the collapse of the Classic Mayan civilisation on the far side of Mesoamerica. 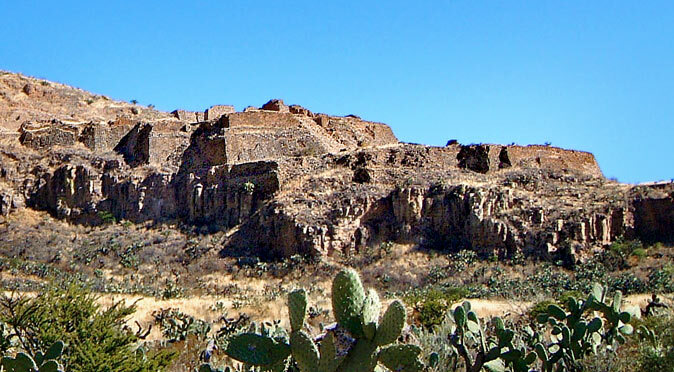 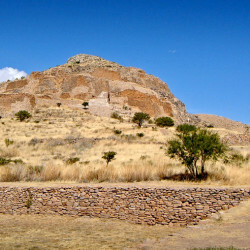 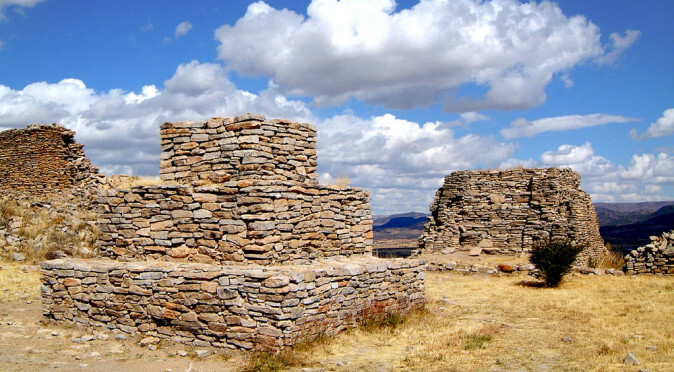 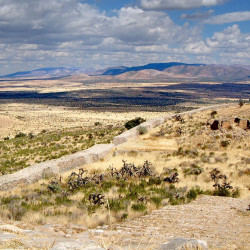 Evidence of trade with Teotihuacan has been found at the La Quemada and a regional dependency on this trade may have led to destabilisation of the area and brought about the need to defend their city from their neighbours.